In a medium bowl beat the butter and caster sugar with an electric mixer until light and fluffy. One at a time, add the eggs, whisking well after each addition. Finally sift the flour into the mixture and whisk in. 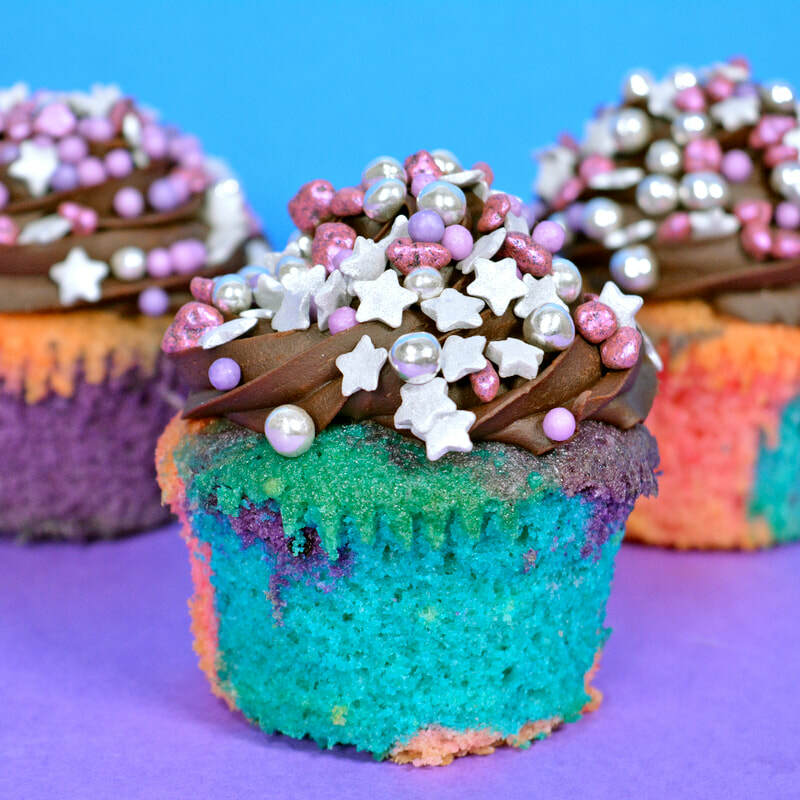 Put a spoon of each coloured mixture into each cupcake case on the baking tray and bake in the oven for 20 minutes, until the cakes have risen slightly. Then, remove from the oven and allow to cool. Get with the intergalactic vibe, take some pics and enjoy your OUT OF THIS WORLD cupcakes!